For Garmin, 2018 is the year of sleep. 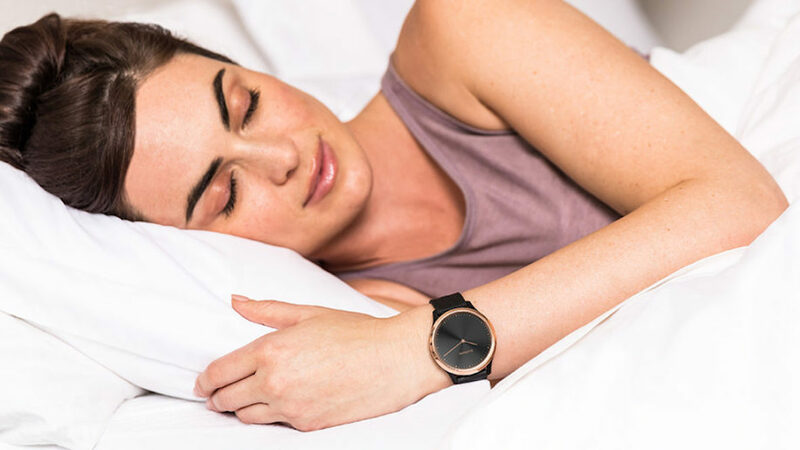 Last month it announced a partnership with the University of Kansas Medical Center to get more insight into sleep apnea, and now the company is beefing up sleep features across its watches. Garmin is introducing two new insights with the latest Garmin Connect update. The first is sleep stages, adding the ability to break down your sleep into awake, light, deep, and REM sleep. This is a step up from how Garmin previously broke down sleep, which was filtered into just light, deep and awake. Garmin will tell you how long you've spent in each sleep cycle, and how long you've been up due to those micro-wakes we tend to have throughout the night. To give you all this new information, Garmin is sucking in some more data into its algorithms. In addition to heart rate and accelerometer data, it will also pull in heart rate variability. Garmin has used heart rate variability for non-fitness metrics before, namely for stress tracking. Garmin says heart rate variability helps improve its sleep stages to be more accurate. It also says that if you notice that the amount of deep sleep changes after the update that you shouldn't be alarmed - it's just more accurate now. The update is rolling out today to the Vivoactive 3, Forerunner 645, Forerunner 935, Vivosport, Vivosmart 3, Vivomove HR, Vivoactive 3 Music, and Forerunner 645 Music. It's not yet on the Fenix 5 line of devices and other Garmins, but it'll come to them in the future. Adding sleep stages gives Garmin some parity with Fitbit, who has been obsessed with sleep for the past year and change. Sleep stages has been one of the main differentiators between Fitbit's fitness devices and Garmin's, so it's nice to see Garmin catch up and, possibly, push Fitbit to continue to improve and iterate on its own feature set too.